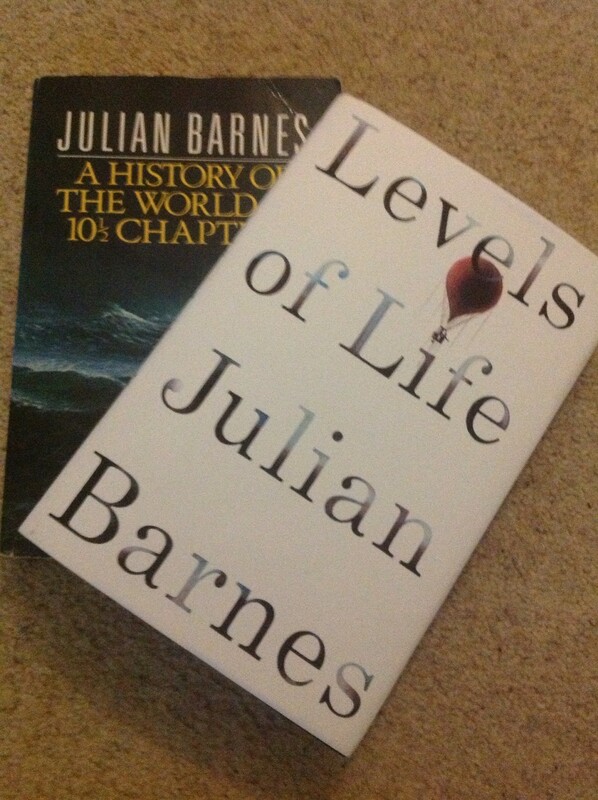 In an earlier book, (The History of the World in 10 and a half chapters, a book dedicated to Pat Kavanagh) Julian Barnes made in clear how much he loved his wife. He recounted, with a sense of wonder, the moment in sleep when she moves her hair from the back of her neck so that he can snuggle in closely to her. For Barnes, this is a moment that every night proves the bond between them. (Incidentally, it is an image I think of almost nightly as I move my own hair from the back of my neck so that my husband can snuggle closer to me.) I had already associated the word uxorious with him, a word I am nearly certain I came across in one of his books although I cannot prove this without looking back through them all to find it. His once close friend, Martin Amis, called him uxorious (perhaps suggesting that Barnes was henpecked) when he moved from Kavanagh’s publishing company and Barnes severed all ties with him. This was a man that really loved his wife. So when I decided to read Levels of Life for the Eclectic Reader Challenge and I realised it was, at least in part, a meditation on grief at the loss of his wife I knew that it was going to be an emotional ride. And it certainly was. The final chapter – The Loss of Depth – felt almost intrusive in its honesty about how he felt. It was like reading a diary entry or even an extended suicide note. Barnes has laid his soul bare for the reader to judge. I wonder if it has helped him to write it as he seems even at the end to be confused and lost, wondering if anything will ever change from the moment he is in now. When I was reading the earlier chapters, I was wondering how this could possibly fit with what I the book to be about. But it soon became clear that they were joined by an extended metaphor about flying, about freedom and about love, all of which Barnes feels he has now lost. All of this is exquisitely written. (Maybe I’m biased, Barnes is one of my favourite voices but it is always clear that he has a love of language and he writes in a very precise way which I enjoy.) But is in the final chapter that the writing has real emotional resonance. I felt devastated on his behalf as if he was someone I knew, not just an author I love. In the way of the un-bereaved, in the face of real grief, I longed to be able to do something. All I could do was make myself a cup of tea and shed a few tears for a woman I didn’t know who had such a profound effect on the life of one man.